Daniya Darby first picked up a basketball when she was about 11 years old. The Lincoln High School hoop standout doesn’t remember exactly when it all started for her, just how it all began. And was she good right away? “I guess it was just natural,” she laughs. However, when Darby arrived at Lincoln High School, she wasn’t exactly at the superstar status she holds these days. “I was average, maybe a little bit above average,” Darby said. Darby averaged just 6.2 points and 3.7 rebounds per game as a freshman as the Lady Lions went all the way to the Hudson County Tournament finals in 2016, falling in the title game to Bayonne. At the time, Lincoln had a superstar player in Zhan’e Williams, a Hudson Reporter All-Area First Team honoree who scored 1,000 points in her career at Lincoln. So that’s when Darby decided she wanted to reach the same milestone. Darby went to a lot of camps and clinics to learn how to become a better player. She joined the prestigious New Jersey Sparks AAU program as well. Darby also picked the mind of a very reliable and valuable source, namely Tommy Best, Darby’s head coach at Lincoln. During his playing days, Best was a powerful inside player, first at Lincoln, then later Lafayette College for a brief stint and finally St. Peter’s College, where he still ranks among the program’s top scorers and rebounders. Before Williams, Best coached All-Area stars like Kiante Johnson and Breana Bey, the latter was the 2012 Hudson Reporter Girls’ Basketball Player of the Year before going off to play at Stetson University and later professionally overseas in Ireland. Bey also recovered from being shot in Jersey City in 2014. Most importantly, Darby learned how to be a solid post player, a good scorer and a consistent rebounder. Darby improved so much that she became a Hudson Reporter All-Area First Team honoree in 2017 as a sophomore, averaging 13 points and nine rebounds. Last season, it was more of the same, as Darby averaged 16 points and 12 rebounds per game, leading the Lady Lions to the Hudson County Tournament championship. “We wanted to try to win it again,” Darby said. But Darby hurt her ankle in a freak pre-game warm-up accident, when a teammate inadvertently stepped on Darby’s foot, causing her to sprain her ankle, forcing Darby to the sidelines. “It was pretty tough trying to get back,” Darby said. But lately, that hasn’t been the case, as Darby is playing like the dominant force she has been over the last two seasons. In her last four games, Darby had 25 points and 12 rebounds against Memorial, 19 points and 14 rebounds in a loss to Hudson Catholic, 14 points and 12 rebounds in a win against Union City and had 11 points and 12 rebounds in a huge win over Bayonne, handing the Bees only their second loss of the season. For her efforts, Darby has been selected as The Hudson Reporter Athlete of the Week for the past week. For the season, Darby is now averaging 18.7 points and 10 rebounds per game. She also reached an impressive milestone recently. In the win over Union City, Darby scored the 1,000th point of her career, earning the same milestone as Williams, Johnson and Bey. “She’s in some good company now,” Best said. Ironically, Darby reached the 1,000-point milestone one day before her cousin Donte scored his 1,000th point for the Lincoln boys’ basketball team. Donte Darby was also a Hudson Reporter Athlete of the Week honoree earlier this season, so the Darbys are keeping it all in the family. 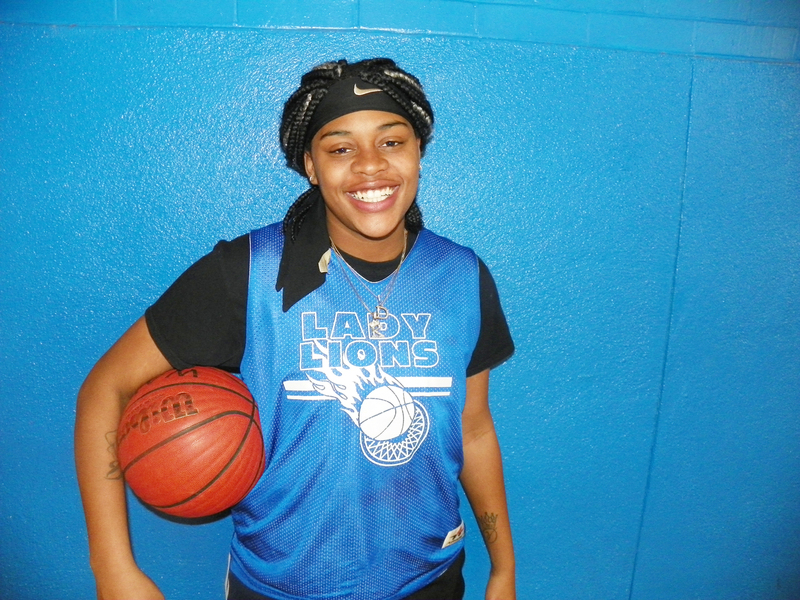 Incredibly, Daniya Darby is not getting many offers from colleges to play next season. “I think we have to be patient and wait a bit,” Best said.